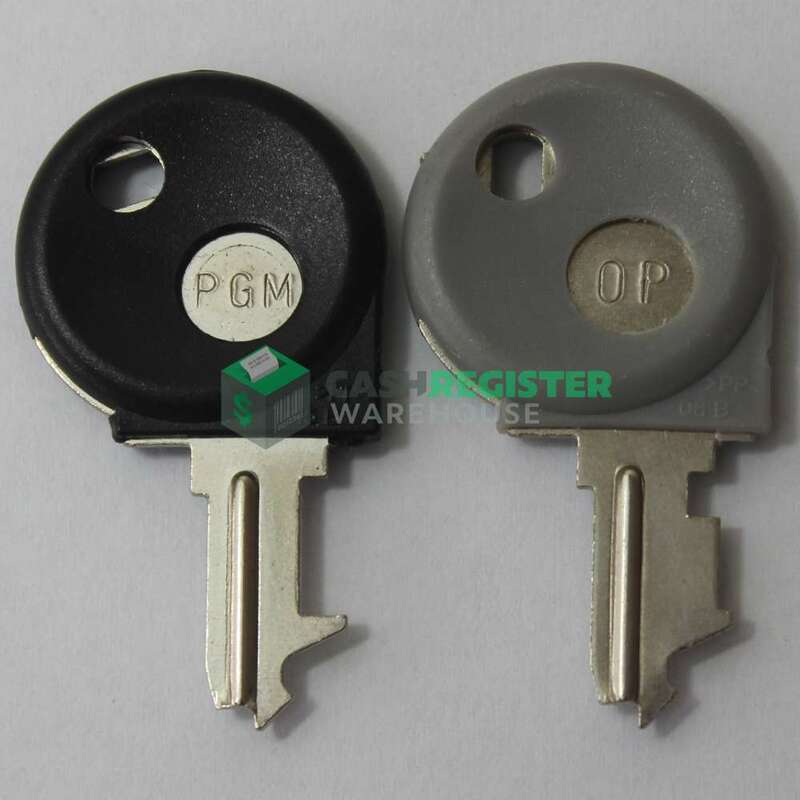 These Casio Cash Register Keys come as a set with a Master (PGM) and Operator Key (OP). Cash Register Keys to Suit Casio SEG1S, SEG1M, SES10, SEC300, SES300, SEC2000, SES2000, SES400, SEC450, SES3000, SEC3500, TE-100, TE-2000, TE2200, TE2400. There are two keys to this set which include an Owner/PGM Key and an Operator Key. Please Note: Keys that you receive may be different to what is seen in the image provided but will fit the models of cash registers stated above.